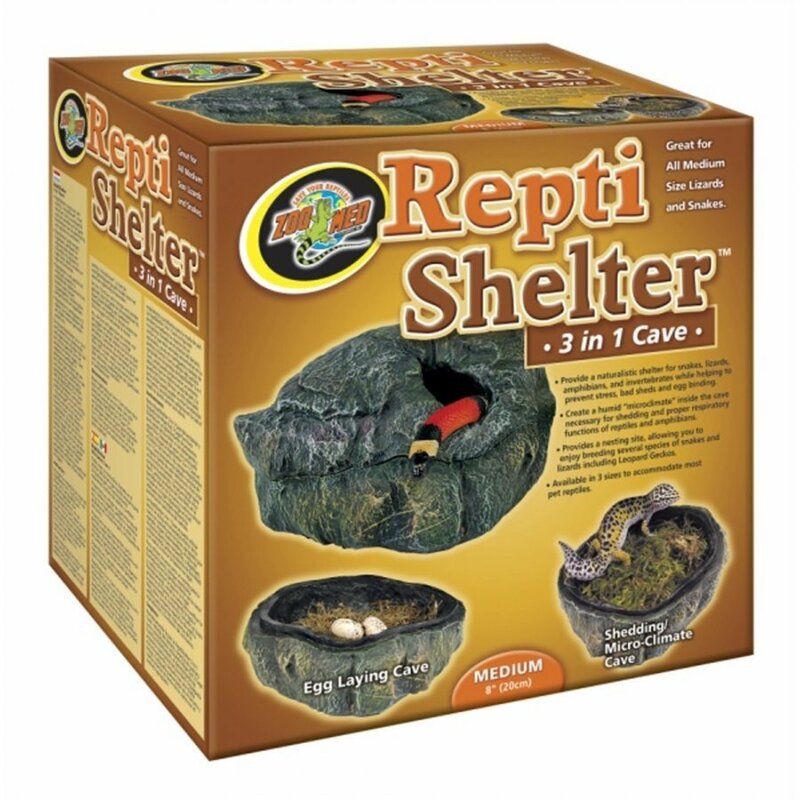 ZooMed's new ReptiShelter 3-in-1 cave is a unique, naturalistic hide cave that also functions as a shedding and egg-laying chamber. Providing a proper nesting site can help prevent against egg-binding. 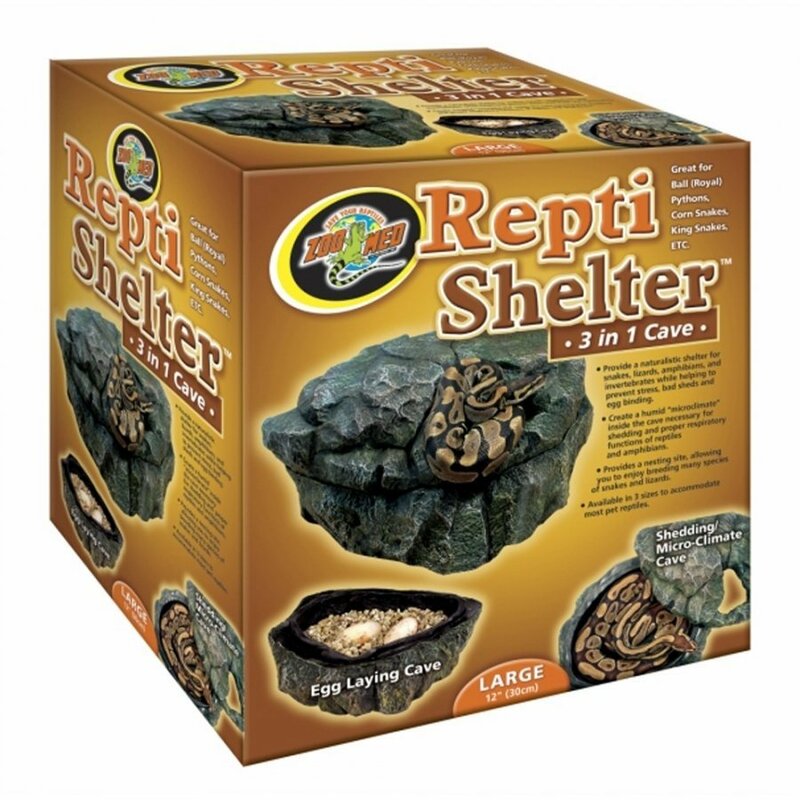 Repti Shelter 3 in 1 Cave has different options and/or variations, please choose below. ZooMed's new ReptiShelter 3-in-1 cave is a unique, naturalistic hide cave that also functions as a shedding and egg-laying chamber. Many reptiles and amphibians, suffer from a lack of humidity in captivity, which can lead to shedding and respiratory disorders. 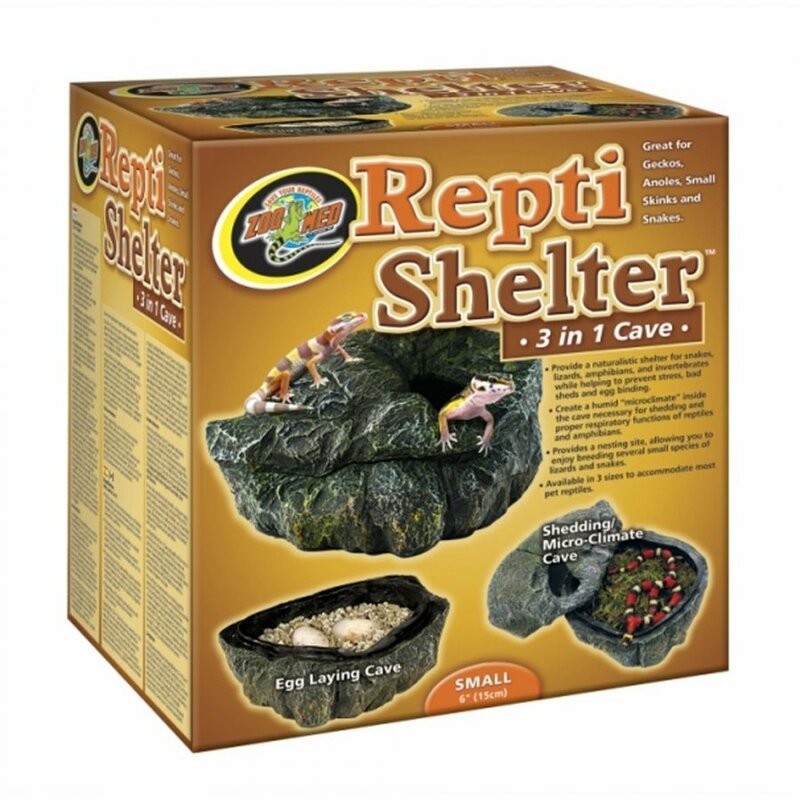 The reptishelter 3-in-1 cave corrects this problem by creating a humid "microclimate" within the terrarium, similar to what they would find in burrows, or under rocks and logs in nature. By adding the appropriate substrate to the 3-in-1 cave tray, you can provide the ideal environment for shedding and egg-laying. Providing a proper nesting site can help prevent against egg-binding, a dangerous condition in which the reptile is unable to lay her eggs.